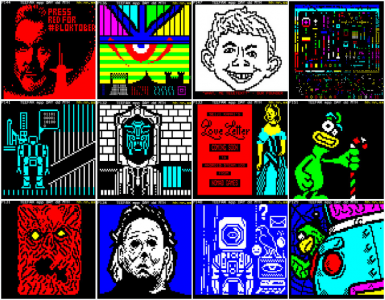 Did you miss your first chance to make some teletext art for ARD Text? Then fret not, for here is another opportunity. 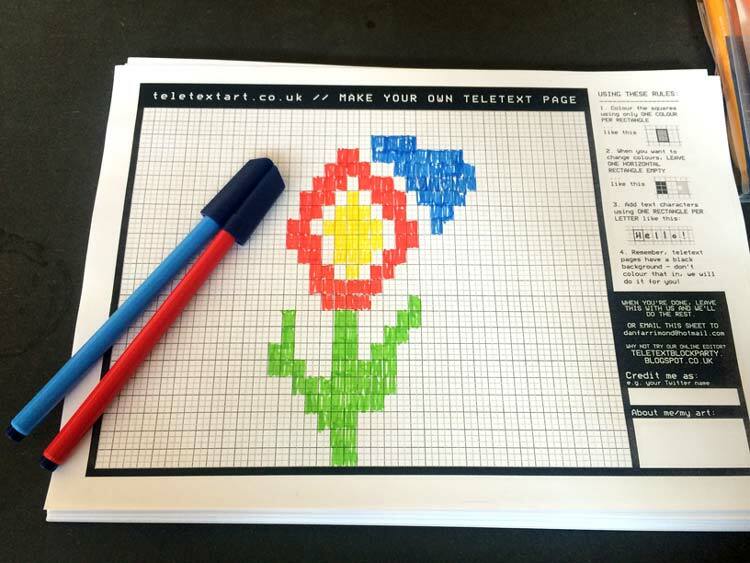 For the duration of the ARD IFA convention (2-7 September 2016), ARD Text and teletextart.co.uk are inviting you to fill out a teletext worksheet, or maybe even two. 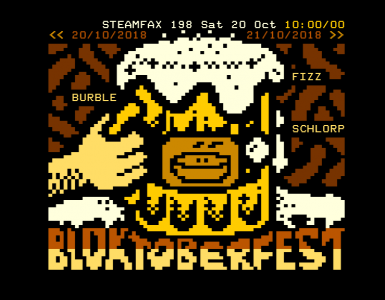 And if your page is selected for conversion, it will appear on ARD Text the following day via the magic of broadcast teletext! Email your scanned worksheets to this address. But wait until 2 September, OK? Deal? Then get scribblin’, teletexters! Will you accept pages in formats other than scanned worksheet? I’ll accept pages created in edit.tf (send the page URL), but I’d rather you scribble something on paper. Because it’s more fun that way, of course! How many pages will be shown on ARD, and what’s your selection process? 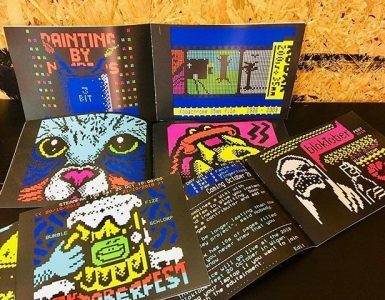 Each day from 2-7 September 2016, teletextart.co.uk and ARD will choose their favourite pieces for broadcast the very next day. Obviously the art must be suitable for public consumption – that means no naughty words or images, please! Depending on volume of submissions, we will show all or some of the art submitted. But here’s a small spoiler – in general, the more time you take, the more likely the piece is to be shown. Well, we’ll leave that up to you, the artist! But here is some art created at past workshops to give you an idea of what people have already made. Then Tweet to me at @illarterate or send an email to dan [at] illarterate [dot] co [dot] uk and I’ll endeavour to answer it.